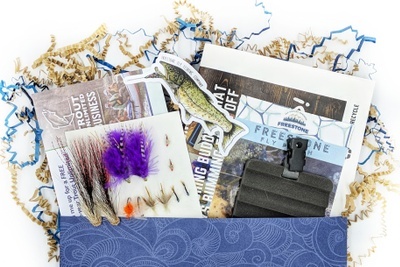 Enter your email address below to receive a notification when Freestone Fly Fishing Company starts accepting new sign-ups! 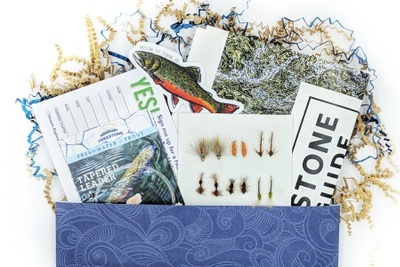 Enter your email address below to receive a notification when Freestone Fly Fishing Company is accepting new sign-ups again. We ship on the 4th of every month. Order your box by the last day of each month to have it shipped by the 4th of the following month (e.g. orders made between January 1st - 31st are shipped on February 4th, and so on). 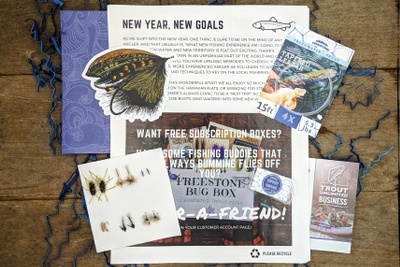 A Freestone Fly Fishing Subscription brings the fly shop right to your door. 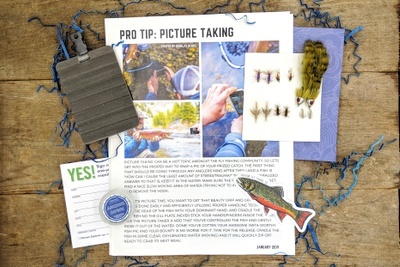 Subscribers can expect a curated package of 12 premium trout flies, a bonus fishing item, awesome stickers, our comprehensive Fly Guide, and a 1-year membership to Trout Unlimited, delivered each and every month. Best yet, we offer free shipping across Canada & the US! 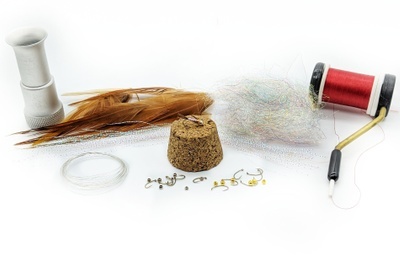 Detailed Fly Guide with Tips & Tricks, Exclusive Contests, and Much More! I purchased this box to try it out and it's great! 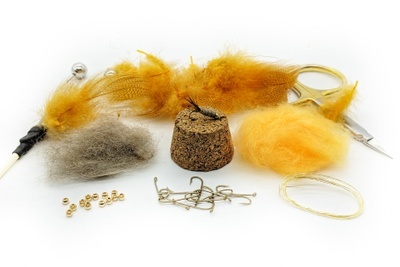 I got a bunch of new flies with tips on how and when to use them. I also got some new leader loops, which are a nice addition. Definitely recommend this box. 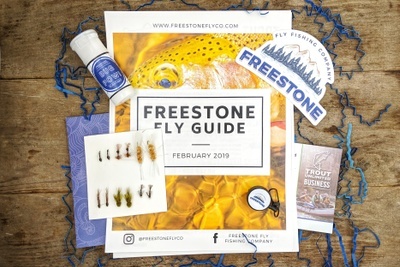 I stumbled upon Freestone whilst looking for a present for my Dad, a fly-fishing aficionado of the most extreme sort. 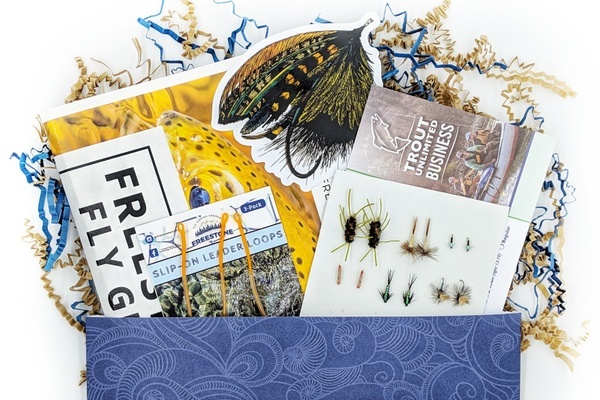 Like many kids of flyfishermen who have everything (in triplicate), I had terrible luck finding presents he would appreciate that I could afford... Well, he's absolutely in love with the diversity and quality of the flies from Freestone and calls me every month when he gets a delivery, happy as a kid! Not to mention the fact that his buddies are envious like kids as well... Great concept, great execution and excellent customer service! I got this for my husband and am really impressed with the quality of the flies and all of the other great materials. 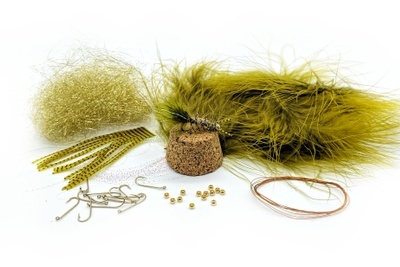 This is a well thought out package and excellent for the novice as well expert fly fishing enthusiast.